In Cuba, you’ll discover a place filled with friendly people, eager to share their heritage and culture with you...and equally curious to hear about the customs and traditions in the neighboring United States. Cosmos invites you to join us on these special tours, designed around daily interaction with local residents that deliver insight into past, present, and future. Through open-minded conversations and respectful exchanges of ideas with the Cuban people, you’ll experience the trip of a lifetime during the educational, cultural, and personal encounters that await you. Shrouded in mystery for the last 50 years, you now have the opportunity to visit the captivating country of Cuba. This special people-to-people program allows you to share meaningful interactions with Cubans while enjoying the rich history and culture of this amazing country. On ...Read More. 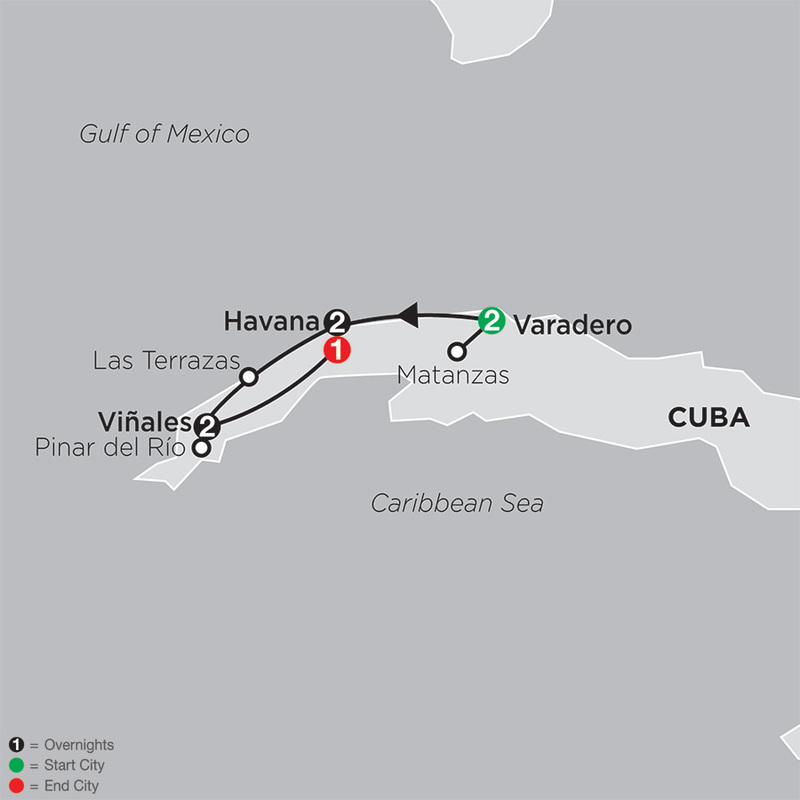 Group Voyagers, Inc.,* is an organization licensed by the United States Department of the Treasury, Office of Foreign Assets Control (OFAC), CFR 515.565(b) and authorized to provide those who register as participants in our programs to visit Cuba legally for educational people-to-people interactions. Our itineraries provide a full-time schedule of people-to-people educational exchange activities designed to result in meaningful interactions between our travelers and individuals in Cuba. United States law requires that all participants in our programs adhere to the full-time schedule of people-to-people activities.